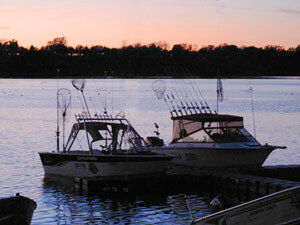 Merland Park offers world class Walleye fishing Charters with great fishing for all. Whether you fish with our fishing charter service or off our docks, you are sure to have a great time. Dock fishing is particularly popular with young kids. The panfish are abundant and kids of all ages have been known to catch up to a 100 in a single afternoon. Walleye, Bass, Pike, Drum (Sheepshead), Panfish, Gar Pike, Trout and even the occasional Salmon. 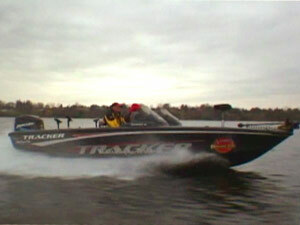 Your guide, Kevin Lavers, is an experienced Walleye fishing guide who has been fishing the Bay for more than 18 years. 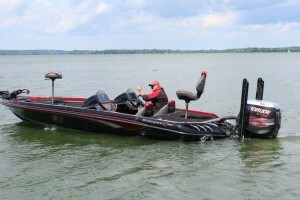 22ft Pro V Tournament Series Lund with 300hp motor holds 4-5 comfortably, including Kevin. Our walleye fishing charters include: Bait, tackle, rods, adult life jackets and refreshments are provided on board. Holds up to 4 adults comfortably, including Kevin.